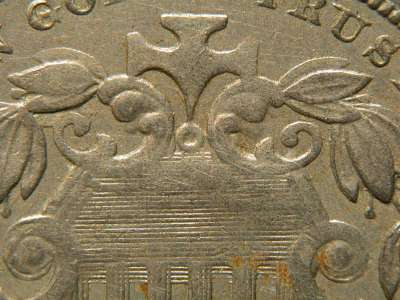 This 1872 features nearly a full separation at the annulet, and the little "devil's horns" of the top of the secondary cross are priceless. Doubling is slightly southwest. This is the variety featured on the cover of Ed Fletcher's book "The Shield Five Cent Series", and deserves special notoriety just for that. It was very tough not to include this coin in the Top 20! 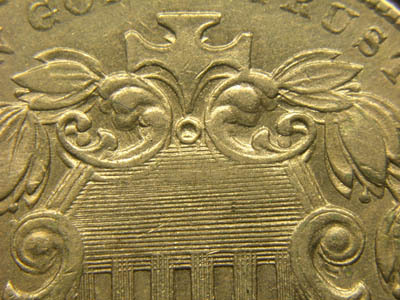 This 1872 shows annulets that barely touch. The doubling is in a southeast direction. 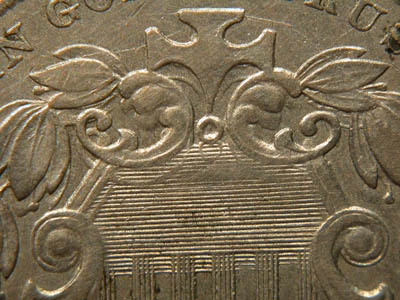 Doubled horizontal shield lines are extremely visible. 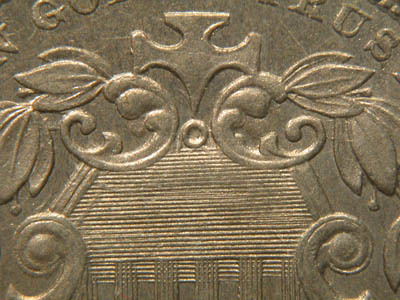 This 1873 shows annulets that barely touch. The doubling is nearly due south. Doubled shield lines are very visible. The date area of this DDO monster showing a closed 3, and a date shifted to the left. Another monster 1873 DDO remarkably similar to the immediately preceding one. So similar, in fact, that the updated picture of FS-008.7 in CPG Fourth Edition Vol. 1 is actually this coin by mistake. 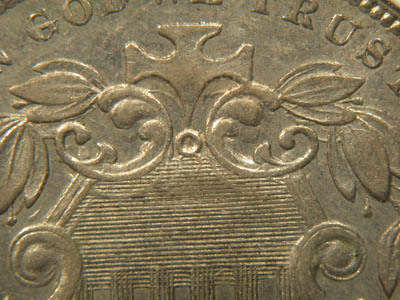 The correct coin is pictured in CPG Third Edition. Die cracks surround the cross on this variety that are not present on the immediately preceding one. The biggest difference between this variety and the immediately preceding one is that this one is clearly an Open 3. 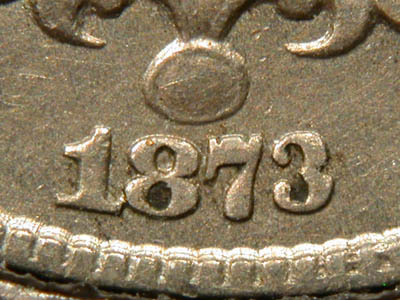 The date on this coin is also well-centered. 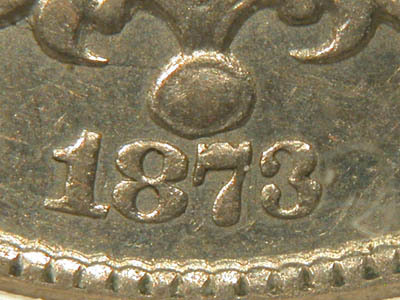 This 1874 also shows doubled annulets that barely touch. Doubling is in a southeast direction. This page copyright (C) 2004, 2006 by Howard Spindel. All rights reserved.